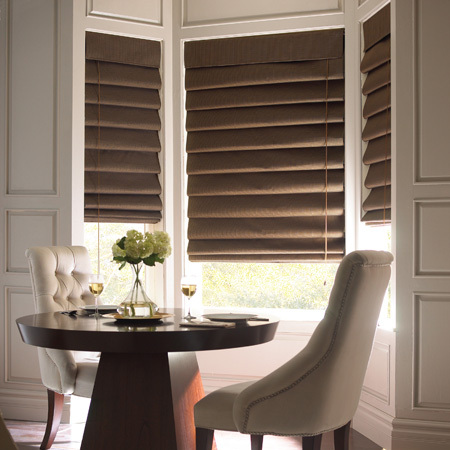 Roman Shades bestow a feeling of luxury and sophistication, adding warmth and design to any room. The Duo Roman shade includes an independently operated black-out shade, affording privacy or room dimming when required. The Duo Roman is operated utilizing a cord lock mechanism. Operation of Single Roman shades is via a control loop cord and clutch mechanism or you can choose automation. Enquire about the range of available fabric and valance options.